It’s December 2013, and the holiday season is in full swing. And you know what that means, right? The holiday movies are also being released left and right. And luckily you found this podcast, because we have all the info for you on what cool movies there are out there right now, and that are coming out through the end of the month. 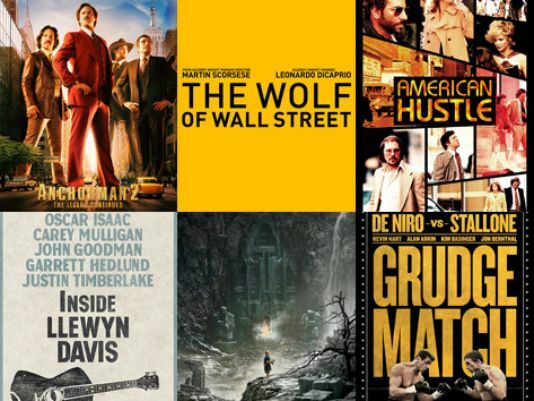 We discuss Martin Scorsese’s new film ‘Wolf of Wall-Street‘, ‘Anchorman 2‘, and the new Coen Bros. movie. Enjoy the episode. Be sure to check out our FACEBOOK PAGE HERE!! This entry was posted on Friday, December 13th, 2013 at 2:24 pm	and is filed under Film, News, Podcast. You can follow any responses to this entry through the RSS 2.0 feed. You can skip to the end and leave a response. Pinging is currently not allowed.